The Pod Kit was the hottest electronic cigarette device last year. It is popular with beginners and MTL enthusiasts for its portable size and outstanding MTL Vaping performance. So what I want to share with you today is the latest Pod Kit in 2019, Kobra Pod Kit from Hugo Vapor. 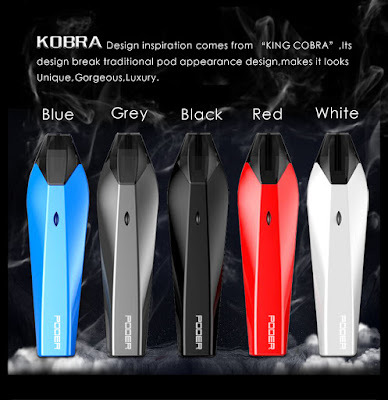 The Kobra Pod is a Pod Kit with a stylish, unique and luxurious look. Its exterior is highly restored to the KING COBRA. Exquisite but powerful. 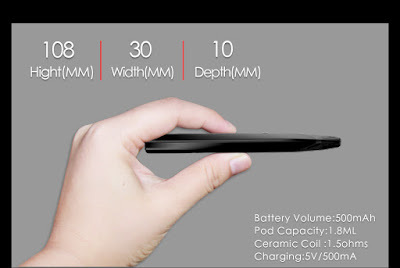 Powered by a 500mAh battery and supplied with 1.5ml e-juice capacity. 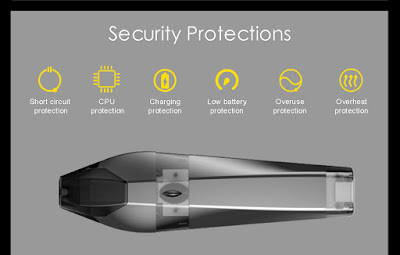 Of course, it is equipped with multiple security protections for a safer environment. With the buttonless design, it's easier to get started. As a Starter Kit, Hugo Vapor offers our complete range of accessories. It's an out-of-the-box vape, all you need to do is add your favorite e-juice. The 1.5-ohm coil ensures you get the best atomization. You will fall in love with the taste it brings. If you also like MTL Vaping. If you want it, you can now buy it at Sourcemore online shop.